Retrospective 3.0 is out and it’s bigger, faster and better. Version 3.0 brings new looks and a lot of new features. As the user interface is an essential piece of the user experience puzzle, new Retrospective simplifies the design making it even more practical and convenient to use. I’m sure you’ll like the new icons and general improvements and the overall look and feel. But the 3.0 is not only about the looks. Not at all. It sports new features and many improvements to deliver the best log files searching experience in existence. 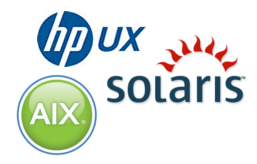 As of 3.0, Retrospective is available for IBM AIX, HP-UX and Solaris operating systems so there’s very little chance that you’re running an OS which is not supported by officially released binaries. In addition to these three systems, Retrospective also supports Mac OSX from the remote hosts perspective allowing to access log files stored on their file systems. The other operating systems haven't been forgotten: Ubuntu, Debian, CentOS Fedora, Suse and FreeBSD have also been improved. Redesigning and simplifying Retrospective has also affected the host manager. It’s clearer and simpler now as it features the compatibility information area providing useful data on remote hosts connections. Furthermore, an option to cancel connection attempts, when it’s obvious that it won’t work due to misspelled authentication information or host address, has been included.